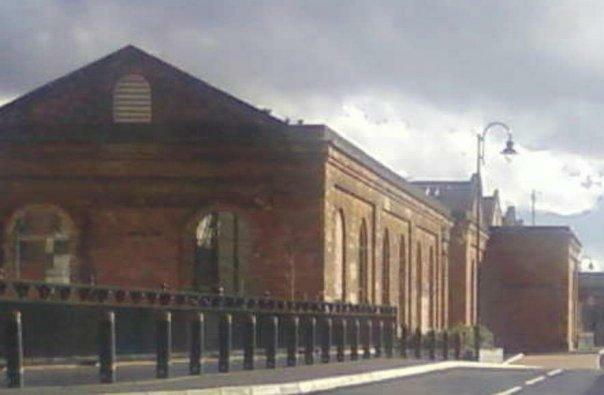 In 1845 the Works built it’s first extension which is located across the main line to the east of the site. 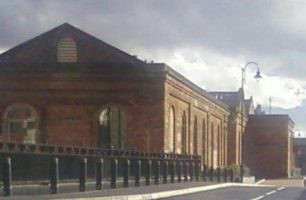 Within these new sheds were the Erection Shop, Spring-makers Shop, the Machine Repair Shop and the Tender Shop which is where they made the Bloomer tenders. The Wheel-turners and Fitters Shop was also found within this new building. There were also steam hammers and furnaces in the extension. A new drivers room was also added on the extension which sat opposite the gas works. Some time before 1902 the extension was converted into the east Paint Shop number 1 which had a Traverser inside the building down the middle. It stayed as a Paint Shop until about the mid 1960s when the building was divided into 2 halves. One half was the Cell Shop and the other half was used for stores. The triangle building was last used by Wolverton Works in 1987 it was then leased out to Robert Maxwell as a book warehouse and some time in the 1990s it was left empty and falling into disrepair until it was brought by Places for People and now in 2010, it is home to offices and new homes.